No one wants to think about death (or disability). It seems morbid to worry about those things when you are perfectly healthy. But if you have ever had a close friend or family member pass away suddenly, you know how hard it can be on the people that are left behind. Not only are they upset about losing that person, but they can be overwhelmed by everything that needs to be done after that person is gone. Who gets what after they are gone. And while we can’t completely alleviate these burdens, there are some things we can do to make it easier on those we leave behind. I believe this is an important part of emergency preparedness and should not be put off until it’s too late. We never know when that time will be. So today, I want to talk about some things you can do to help your friends and family when it is your time to go. After all, you never know when your “last minute” will be. What you would like to the service to look like. What are your medical wishes if you are in a coma or on life support. Making a will can be frustrating and time consuming, but it will make things easier for your family in the end. Wills should be clear and concise. They also need to be updated often to account for changes in your family or property. Who will be the executor of your will? Who will take care of your children if you die? Who will take care of your animals if you die? Who will inherit your home and other property? Who you would like to leave certain personal items to? Who will take care of your finances (pay off debt, pay bills, etc)? If you or a spouse (or both) die, your family finances would take a major hit. It doesn’t really matter if the person was a wage earner or not. So while it would be financially devastating to have the primary provider pass away, it would be just as financially devastating for the stay at home spouse to pass away. Both contribute to the family finances in different ways. When thinking about life insurance, it is important that both parents be insured. If either spouse dies, the other could use the money to keep the family a float. If both parents die together, life insurance would ensure the children would be looked after financially and will help whomever is a thrust into the caregiver position on their behalf. 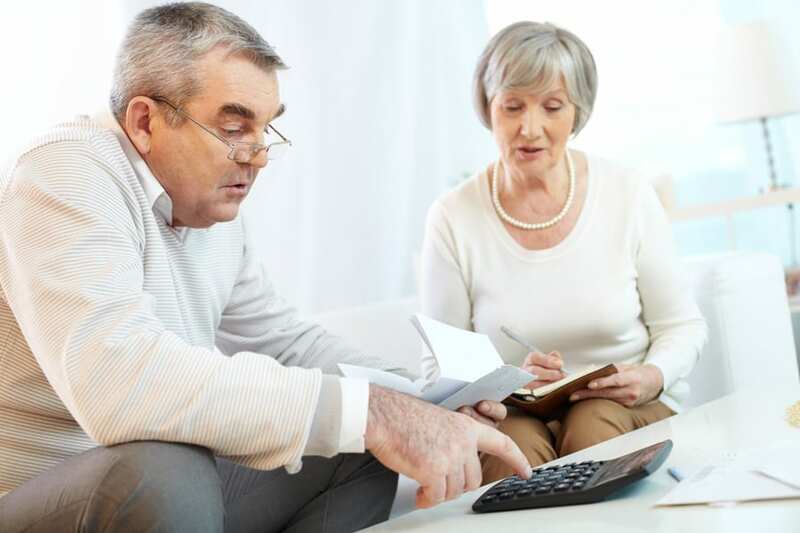 Good record keeping can be crucial to settling your estate and finances once you are gone. We discuss in this post how to keep your personal documents stored for emergencies —> How to Gather Important Family Documents for Emergencies. It is important that someone can easily find what they need if you aren’t there to guide them. What bills you pay? How do you pay them? Passwords to online websites for banking and paying bills. If you have a spouse and he/she doesn’t know these things, you need to show them. Should accident, injury or death occur to you, do they know how to keep things running at home? Are you a hoarder? Do you have so much stuff that you don’t even know what all of it is or why you have it? Leaving behind a mess for loved ones to clean up once your gone is not thoughtful or helpful. Are you getting up in age? Maybe it’s time to pair down your belongings and start sharing with your family members while you can see the joy it gives them now. Do you need to keep all of their old toys and childhood things? Maybe you should give them a chance to go through them with you and relive the memories together. And then, if they don’t want to keep them, give them away to someone who will really enjoy them. Have a large garage sale and use the money earned to go on a family trip together. Memories are much more priceless than tons of stuff just laying around and catching dust. Wouldn’t it be great to know that your passing won’t put an undo burden on your family? That you have things organized and designed to help them in their time of grief. 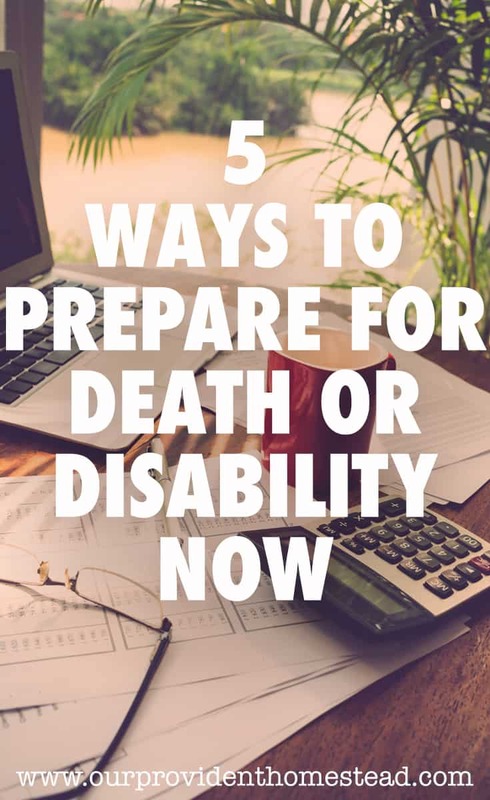 I encourage you to take these steps to prepare for death or disability now, no matter what your age. It will help you be more organized and aware of what you have, and it will help those that live on after you to take care of things for you. It is a win-win for everyone. Do you have your life in order to prepare for death or disability? Let us know in the comments below. And if you found this post helpful, please share. Thanks!